Results for Tuesday, March 27. Winning numbers: 3, 9, 25, 28. No jackpot winner. 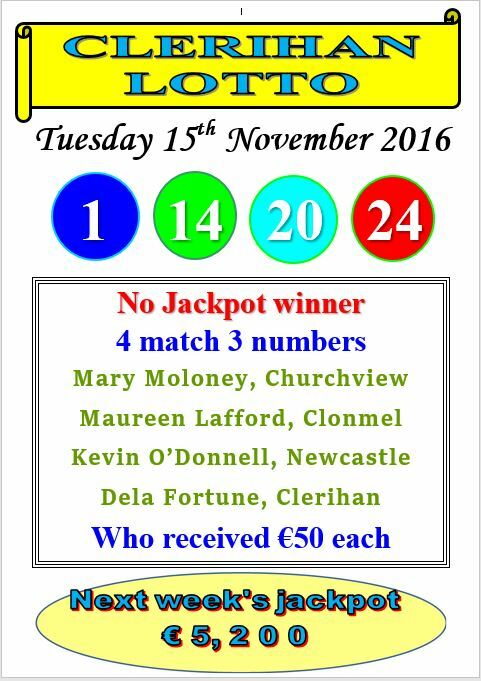 One matched three numbers: PeterBaniak, Clonmel, who received €200. 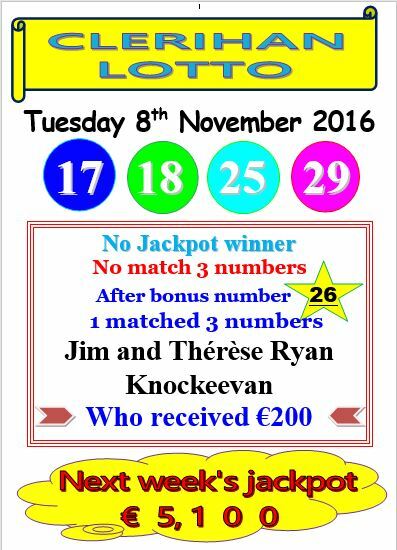 Winner of end of month €50 lucky dip was Martin Gallagher, Ballydoyle. 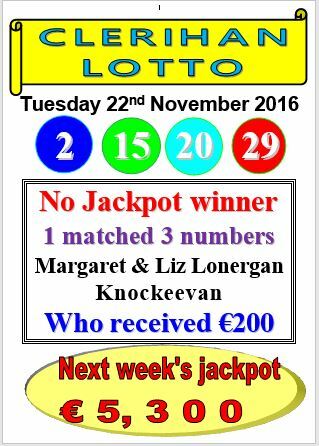 Next week’s jackpot €16,000.